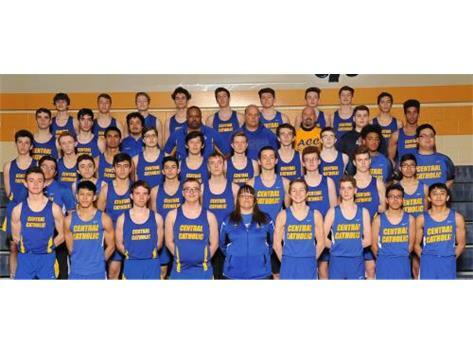 Welcome to the BOYS TRACK and FIELD VARSITY page. Here you will find the latest information on this organization. Look here for the ACC Track and Field tradition, as Charger Nation embarks upon what could be a very promising season in 2012! Did you know that ACC Track and Field has advanced Individuals or Relays to the IHSA State Finals every season since 1993! The Chargers are on a quest to extend that streak for the 20th year in a row! This record is unsurpassed in the history of ACC Athletics! This streak started with the legendary 93 Charger team well before any of the current Charger athletes were born! AMAZING! What is TRULY AMAZING is the streak has been accomplished against schools 2-3 times OUR SIZE! Did you know the Frosh-Soph 800 Relay team of Zack Flint, Juan Arroyo,Cody Ekstrom,and Joe Fese posted a blistering 1:31.80 FAT in 11! Did you know that ACC has advanced 19 3200 M RELAY Men's TEAMS TO STATE, culminating in a state championship IN 1979 and 9 ALL STATE FINISHES! They return Matt Meyers,Alex Duncan, and Matt Marter from last year's state R.
Did you know that this season's team has a school record of 75 Men on the team and including the Lady Chargers Roster, a combined school record 125 athletes! OUTSTANDING for a school enrollment of 560 25% of the school!